Open Mon - Sun What's this number? Compare superfast broadband offers from BT! Tens of millions of homes now have the option of superfast fibre optic broadband. And it's not only fast, but very affordable too! But what is fibre optic, and what do BT fibre optic deals have to offer? We’ll explain everything you need to know to compare and buy a new fibre broadband package. Our deals are sorted by how popular they are with Genie visitors. The more people clicking on a deal - especially if they then buy it - the higher it is in our tables. Sponsored deals are not factored in when sorting by popularity. Speed This is the median peak-time download speed of the package supplied by the provider in accordance with ASA guidelines. Actual speeds vary depending on location. You will be given an accurate speed estimate when signing up. Data limit UNLIMITED means there are no monthly usage caps, service restrictions or additional charges for data use. Where we say restrictions apply please check the broadband provider's website as there may be some form of traffic management or other policy in place. Up to 9.5Mb upload speed. BT Smart Hub. 100GB BT Cloud storage. BT Protect, BT Net Protect Plus & Parental controls. BT Sport 1 only online. Unlimited BT WiFi. Up to 19Mb upload speed. BT Smart Hub. 500GB BT Cloud storage. 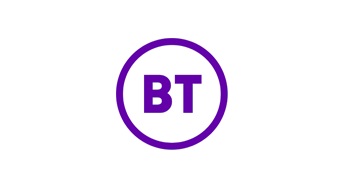 BT Protect, BT Net Protect Plus & Parental controls. BT Sport 1 only online. Unlimited BT WiFi. 80 channels. FREE BT Sport Pack including BT Sport Europe Basic YouView box (does not record); Catch-up TV (BBC/ITV/C4/C5); Access to the BT Sport app and online player. Up to 9.5Mb upload speed. BT Sport Pack on BT TV and online. BT Home Hub 4, online security package plus unlimited BT WiFi. What is BT fibre optic broadband? BT fibre optic broadband is a broadband service that uses fibre optic cables to deliver significantly quicker speeds than ADSL broadband. It was previously known as BT Infinity, but is now BT Superfast. What broadband speed can I get with BT fibre optic? BT fibre optic broadband deals offer an average download speed of either 50Mb or 67Mb. The actual speed you’ll receive varies depending on your location and the condition of your lines, but when you join BT fibre optic you’ll be given an accurate speed estimate so you’ll know what to expect. Is BT fibre optic unlimited? All BT fibre optic broadband deals have unlimited data. There is also no traffic management so your connection won’t be slowed down for any reason. Can I get BT fibre optic with TV? Yes. BT offers a variety of TV bundles alongside fibre optic broadband, including a basic starter pack that won’t stretch your budget. Take a look at our BT TV page for more information on the BT TV box and channels. Can I get Wi-Fi with BT fibre optic broadband? Your new BT Infinity fibre optic service includes a free BT Home Hub Wi-Fi router. As well as giving access to the broadband internet it also provides a Wi-Fi network for your home to share files and quickly connect devices to the internet. What’s the difference between BT fibre optic and other fibre broadband deals? Most other broadband providers are using the same Openreach (BT) fibre optic network and offer broadly comparable services to BT fibre optic so the major difference is the pricing and features of each deal, as well as other important considerations such as each provider’s technical and customer support. To find out more about these aspects our annual home broadband survey is a good starting point. All other fibre optic services using the Openreach network offer an average speed of 35-37Mb on their cheapest deals. But with BT you get a faster speed of 50Mb on the entry level packages. Every BT broadband customer gets some access to BT Sport for no extra charge. BT fibre deals include up to 100GB of free online storage for sharing and backing up files. Get online away from the home with free unlimited access to BT Wi-Fi public hotspots. What’s the difference between BT fibre optic and Virgin Media? Virgin Media operates its own network separately from BT fibre optic. Virgin Media broadband is not sold by any other ISP, and is only available if you’re in a Virgin Media network area. Is BT fibre optic available in my area? BT fibre optic is now available to more than 80% of premises. In order to receive this service you must be within several miles of a fibre-enabled telephone exchange. You can find out if BT fibre is in your area by entering a postcode in the postcode check on our comparison table. This will filter by location to display packages available in your area. How do I know if I need BT fibre optic broadband? Fibre optic broadband is great for downloading or uploading large files, streaming HD video and for serving a busy home where the connection is shared. Fibre optic is also the best choice for a gaming broadband connection. But not everybody needs the speed of a fibre optic service. Many will find that ADSL broadband is perfectly sufficient for their requirements, and it will be cheaper than a fast fibre optic deal. Our broadband speed guide and broadband beginner’s guide can help you choose the most appropriate package for your needs. What should I look for when comparing BT fibre optic deals? Availability: Before doing anything else enter your postcode to check that BT fibre optic is available in your area. Monthly price: This is the fixed price you’ll pay for the length of the contract. It includes broadband and the phone line (and TV, if selected) but extra charges such as phone calls will be added to your bill each month; it's worth nothing BT do not provide packages without a phone line. Prices can go up after the initial contract, so you may want to switch regularly to take advantage of the best broadband deals. Speed: The maximum speed of the connection. Your actual speed will vary, but an accurate speed estimate will be provided before you sign the contract. Setup: The setup cost varies depending on the type of package you select, and whether you need a new phone line. Occasionally you may find a BT fibre broadband deal with no setup fee. Extras: Click ‘Offer details and pricing’ to see further information about the package such as inclusive calls, and special offers such as BT Reward Cards and other free gifts. We also provide an effective monthly cost that includes all costs and discounts. Stars are based on customer ratings from our latest Home Broadband Survey. Sign me up for promotional offers and competitions by email!